Unify the contractual information of an employee (own or subcontracted) with his spatial location inside an enclosure with sensors. It allows to control access permissions to different areas, identify behavior patterns and productivity level of individuals on an anonymous basis. Adding predictive analytics, we can anticipate events and analyze how to improve the current business processes. With the proliferation of sensors, GPS units, and cellular modems, the IoT market will contribute businesses and consumers seek to track the location and health of vehicles and other anywhere on the globe. Moreover, we can assist in detecting security threats through the application of machine learning and offering a highly scalable platform to analyze high volumes of data in real time. Behavior Analytics help organizations find known and hidden threats using ML, behavior baseline, peer group analytics and advanced correlation. An analyst can take actions based on risk ratings and supporting evidence. Comprehensive framework that leads to smarter customer interactions and more effective brand conversations. The logistics & transportation industry has been a key force behind the IoT upswing because of its ever-increasing demand for smarter goods delivery and raw fulfillment processes. For example, using IoT you can obtain an intelligent container fleet to gain better control over your assets and your operational performance and assure quality. Create efficiency by tracking patient flow with IoT sensors and location devices is essential in nowadays “do more with less” emergency department, operating room, surgery center or medical clinic. Using IoT and Analytics we help to promote independent living for patients with chronic diseases. Agriculture has been a great adopter of IoT. By gleaning data generated from GPS, sensors in the field and farming equipment, with the use of big data analytics, farmers have been able to improve crop yields and water utilization among others. Harness the power of the Internet of Things (IoT) to transform field service and asset management. With Predictive Maintenance and Service, you can analyze large volumes of operational data and apply predictive insights in real time. Balance in the grid must be maintained between product consumption and generation at any moment, otherwise disturbances may occur. Accurate production forecast is key. Advanced Analytic helps to identify risks of fraud or improper behavior of customers or employees resulting in losses. Through a mix of business rules, anomaly detection and predictive analytics, we detect risky behavior, giving a fraud risk score to any event. Due to the wide possibilities of the application of IoT, advanced analytics and automated data collection have, sports analytics have been a steadily growing and developing area. Ensure that the right amount of light is provided where and when needed and empowers your actions with an accurate real-time feedback of any change occurring along the grid. Using Advanced Analytics and Machine Learning over sensor data enables i.e suspicious behaviour detection, abandoned object detection or airside intrusion detection into cargo areas. Predict queue lengths and waiting time adding IoT sensors data and machine learning techniques open a new space of improvement to increase sales and upscale average ticket. Fleet Management solutions are ideal for any business with multiple vehicles. It can help industries in oil and gas, forestry, construction, mining and utilities that need to protect field workers and streamline their operations. 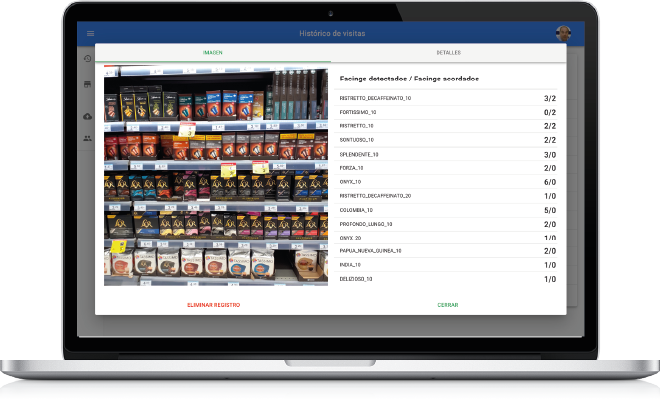 Carts tracking in a retail shop can determine the order and location of selected products, which tells much more about the selection customer habits than the currently available methods. The joint use of IoT and Deep Learning allows to identify cars' licenses and to store the information of these to control parkings or public/private building accesses. Smart Traffic Management is a system where centrally-controlled traffic signals and sensors regulate the flow of traffic through the city in response to real demand.